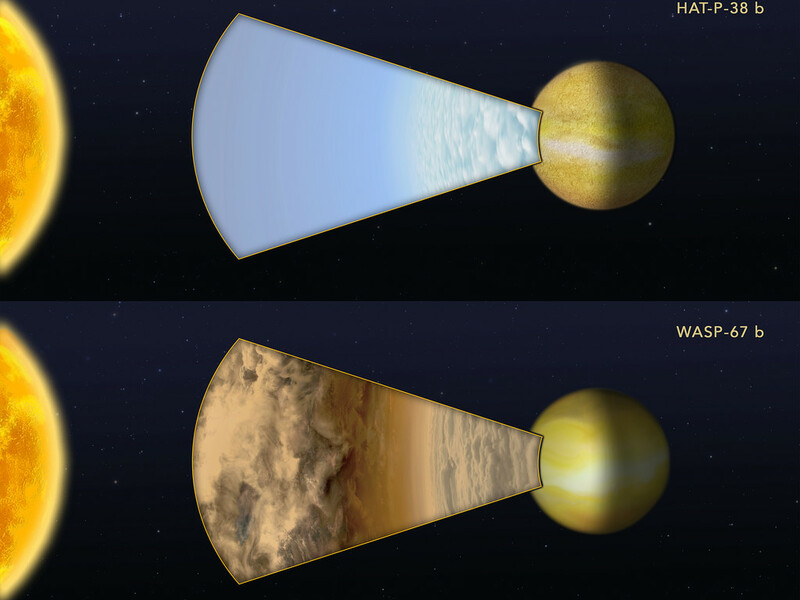 This illustration compares the atmospheres of two "hot Jupiter"-class exoplanets orbiting very closely to different sunlike stars. The planets are too far away for the NASA/ESA Hubble Space Telescope to resolve any details. 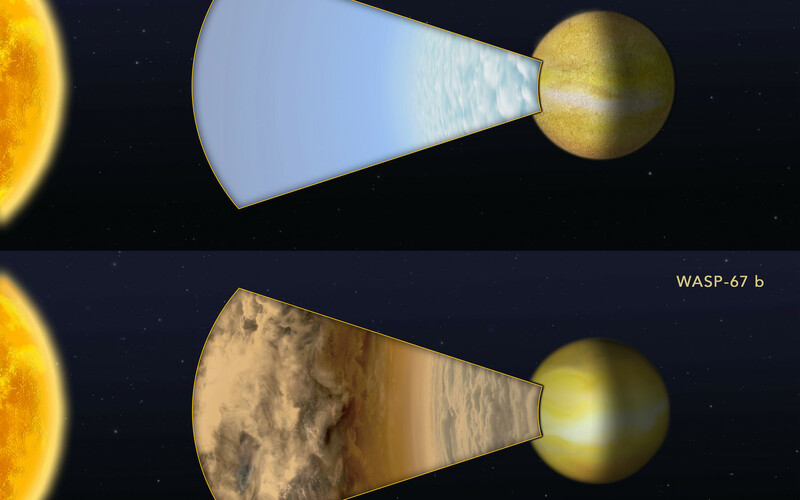 Instead, astronomers measured how the light from the parent stars is filtered through each planet's atmosphere. Hubble was used to measure the spectral fingerprint caused by the presence of water vapor in the atmosphere. The planet HAT-P-38 b did have a water signature, indicating the upper atmosphere is free of clouds or hazes. By contrast, a very similar hot Jupiter, WASP-67 b, showed no water vapor, suggesting that most of the planet's atmosphere is masked by high-altitude clouds. These results are not peer-reviewed and were presented at the 230th meeting of the AAS.